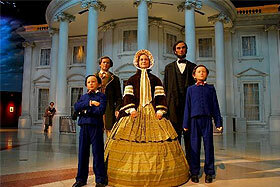 Are you planning an enjoyable family trip to the Land of Lincoln? Do you have an important corporate event upcoming in Illinois? Do you wish to make your destination wedding in Illinois most special and memorable? Whatever it may, trust Charter Everything Inc. for high-quality, reliable, and safe ground transportation solutions. We have over 25 years of experience in charter bus rental, bringing to you the best fleet of luxury vehicles equipped with modern amenities. We cater to diverse ground transportation needs of our clients, including sightseeing in Illinois, corporate tours, wedding, school field trips, sports events, night parties, and more. We offer best-in-class services that are suitable for your group size and budget. 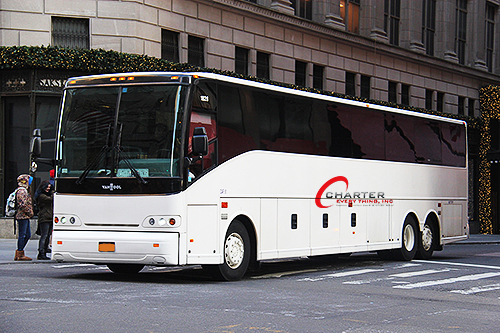 At Charter Everything Inc, we have motorcoaches, mini buses, and limousines available throughout the state, making us the most preferred choice for all your transportation needs. Moving a smaller group of 18-20 people? Have a larger group of 60 people? Do not worry. Count on us for a large selection of vehicles that meet your needs. We offer charter rentals with our deluxe motorcoaches, mini buses, party buses, school buses, and private shuttles that can accommodate anywhere from 18 to 61 passengers. From elite business travelers to professional sports teams to families, we promise every passenger on-board the most enjoyable and worry-free experience. Safety of each of our passengers is our foremost priority. Our vast knowledge and experience allow us to maintain excellent safety records that are at par with the industry standards. To ensure the highest standards of safety of our passengers, staff, and vehicles, our company holds 5 million dollar insurance. We hire only experienced and professional local drivers with a trustworthy background and having a Commercial Driver’s License. Taking safety standards a step ahead, we equip all our vehicles with advanced GPS tracking to ensure you a secure and hassle-free traveling experience. In case your vehicle gets stuck in a bad situation or you fall prey to unscrupulous activities while on board, we can track your location and provide support. When you book a charter bus with us, you can rest assured to have a stress-free and safe journey anywhere in the country. Wedding: If you are planning an exotic destination wedding in Illinois, let Charter Everything make it an unforgettable experience for you and your guests. We offer customized wedding guest transportation services, taking every care to help them stay organized and on time for the special occasion. Our services include cross-state guest transportation, airport transfers, hotel shuttle, and wedding party transportation. We also offer transportation services for bachelor/bachelorette party, bridal shower, and dinner rehearsals. Business Tour: Arranging a corporate trip, conference or business meeting can be stressful. Transporting your guests and VIPs in a safe and timely manner should be of utmost importance. Do not worry. Trust Charter Everything for excellent ground transportation solutions, custom-designed to meet the style and comfort needs of your executives. Our vehicles can accommodate groups of any size, from 18 to 61. We specialize in charter bus rental solutions for business trips, corporate events, incentive tours, conferences, and conventions. We can customize our vehicles to ensure superior comfort to our passengers while helping them to stay productive on the go. 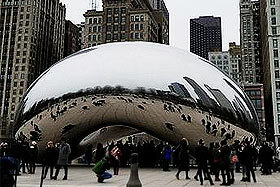 School Field Trips: Arranging a school field trip in Illinois is a good idea because it is rich in history and culture. However, the safety of the children should be your priority. 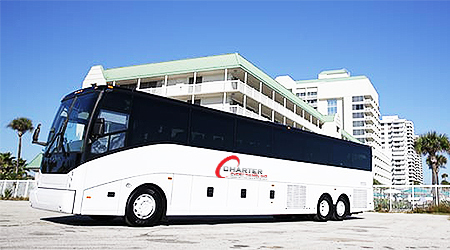 At Charter Everything Inc, we offer high-quality school transportation solutions, with a blend of comfort and safety. All our vehicles are well-maintained and equipped with GPS tracking to avoid on-road hassles. Our drivers and staff members undergo strict background screening to ensure they are trustworthy. So, get going today to offer a delightful school field trip experience to your students. Sports Event: Whether you are a professional athlete, a sports person, or a dedicated fan of your favorite team, Charter Everything is your preferred choice for ground transportation services in Illinois and other parts of the country. We equip our buses with the right facilities to ensure a convenient and comfortable journey as you prepare for your upcoming sports event. Spacious luggage compartments, satellite television, media system, push-back seats, and onboard lavatory make our vehicles the #1 choice for any sports event. Night Party: A night out in the state of Illinois is an experience worth cherishing forever? Worried about transportation? Look no further than Charter Everything Inc. We have the finest selection of party buses that are tailor-made to make your party even more incredible. Our luxury party vehicles can accommodate a group with up to 40 people, having modern comforts such as leather seats, media system, microphone/PA system, black tinted windows, sunroof and moon roof, wet bar, restrooms, television, surround sound, Wi-Fi, and fiber optic lighting. Book one of our party buses today, and travel in unmatched style and sophistication. Sightseeing in Illinois: From the exotic views of Lake Michigan at the Windy City to the historical allure of Springfield to Rockford’s serene Anderson Japanese Gardens, to the prehistoric settlement at Cahokia Mounds – Illinois offers every ingredient to make your sightseeing tour most memorable and charming. The Midwestern state is also known as the “the Prairie State”, featuring stunning farmlands, forests, wetlands, and lush rolling hills. The skyscrapers and pulsating nightlife showcase another amazing side of Illinois that is worth experiencing. Whether you are planning a family outing, sightseeing tour, or cross-state trip to Illinois, we can help you with exceptional charter bus rental for your group. Let’s explore the best of this beautiful state in sheer style and comfort of our luxury buses and limousines.